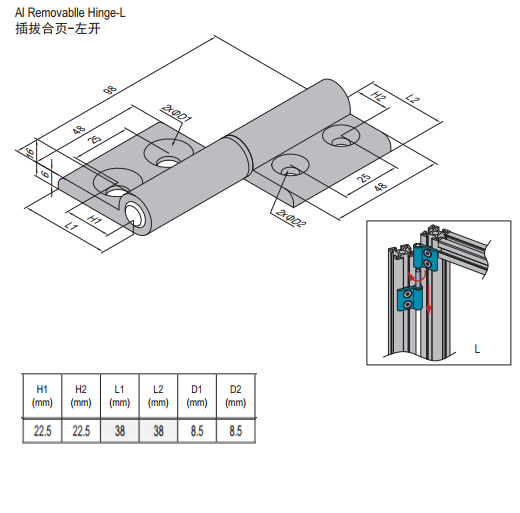 Categories: All, Door and Window Elements [7.x...], Door Unit, Hinge [7.2x.x...], Hinge Sets, Machine Guard Systems, Modular Assembly Systems, Removable Hinge, Single PG. 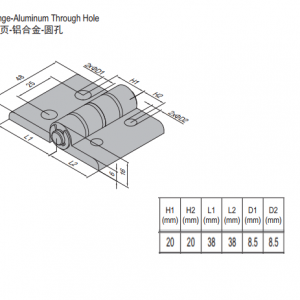 This product is a removable hinge, which is a door and window element. 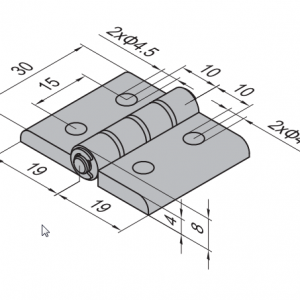 This is generally used to connect two elements to one another, allowing one to rotate around the other element – swinging outwards or towards the other element, similar to the function of a door. First attached to one profile, with connecting elements such as screws being driven through it for a solid connection to the element, another profile soon follows. 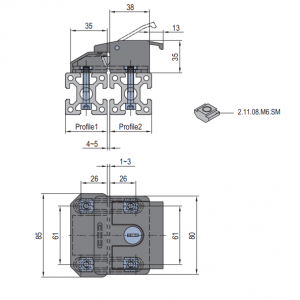 The second profile is also connected with screws, or the connecting element of your choice. Once these two elements are connected, one of the two profiles can swing around the other, acting like a door. Suitable for PG45. Includes: 4x M8x16 bolts and 4x M8 T-nuts. Material: Anodized Aluminum Alloy. Color: Silver.